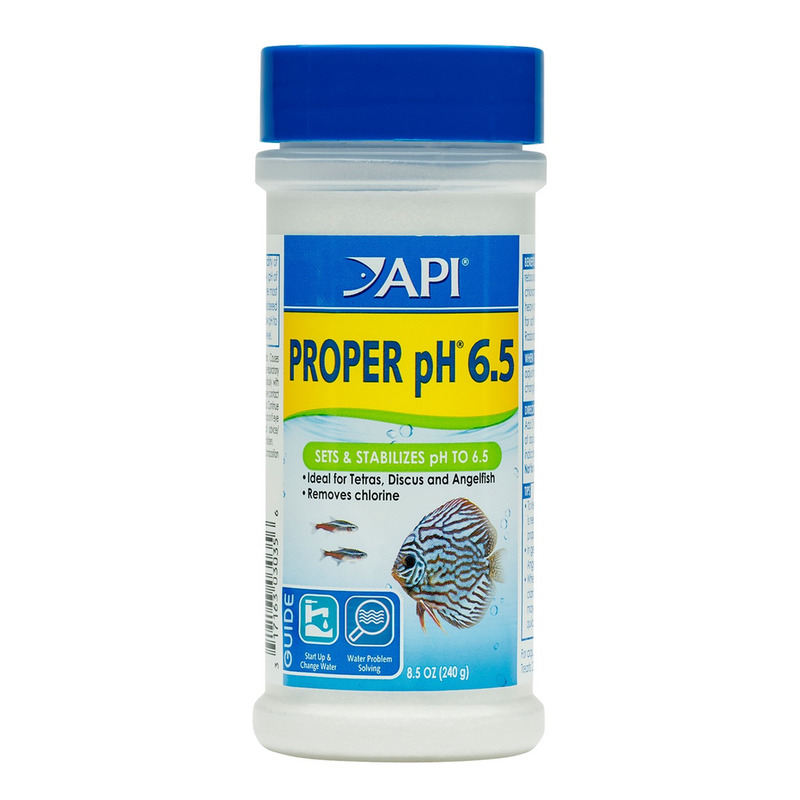 Aquaria AP PROPER PH 6.5 - 240 GRAMS - Rick's Pet Stores Inc.
API Proper pH is a pH adjuster and stabilizer (buffer) for freshwater aquariums. 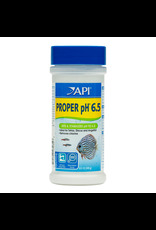 Proper pH 6.5 neutralizes chlorine, detoxifies heavy metals, and adds electrolytes to the aquarium. The product also contains Aloe Vera, a proven natural stress reducer and healing agent for tropical fish. A pH of 6.5 is ideal for keeping Tetras, Discus, and Angels. Proper pH 6.5 will lower or raise the pH until 6.5 is reached. pH will not rebound to the original level. It may require more than one dose to adjust the pH, because carbonates (KH) in the water work against pH adjustment. Proper pH 6.5 is a phosphate buffer and should not be used with live aquatic plants. Use when setting up a new aquarium or when conducting water changes. Dose as directed.